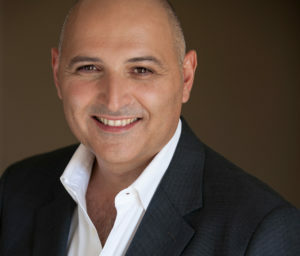 Dr Tim Papadopoulos is a certified cosmetic and plastic surgeon, past president of the Australasian Society of Aesthetic Plastic Surgery a member of the Australian Society of Plastic Surgeons and a Fellow of the Royal Australasian College of Surgeons. Tim is also an International member of the American Society of Plastic Surgeons. Active in the training of future plastic surgeons, Dr Tim is currently the supervisor of training at Nepean Hospital, a major teaching hospital in Sydney. He is also the founder and medical director of Cosmetic Culture, a plastic surgery medical spa and laser centre, situated in Pyrmont, Lane Cove and Penrith. Dr Tim Papadopoulos’s Sydney-based clinical practice focuses on cosmetic surgery of the face, breast and body, and the surgical repair of deformities resulting from cancer and trauma. He combines state-of-the-art techniques with sensitivity and the highest level of patient care. Having published extensively in medical journals and has presented his work both nationally and internationally, Dr Tim keeps up-to-date with the latest techniques by attending conferences and visiting surgeons at leading hospitals in Europe, USA, and South America. Danielle offers cosmetic tattoo and paramedical tattoo services when in Sydney from Dr Tim’s clinics in Pyrmont, Lane Cove and Penrith.